What's better than a pair of tough work jeans? How about a pair of rugged blue jeans that are flame-resistant? These Ariat Work FR Men's 10018365 M4 Ridgeline Jeans from Working Person's Store fit that description. They're designed for working people, especially th ... (see full details) (see specifications) #10018365. What's better than a pair of tough work jeans? How about a pair of rugged blue jeans that are flame-resistant? These Ariat Work FR Men's 10018365 M4 Ridgeline Jeans from Working Person's Store fit that description. They're designed for working people, especially those who need protection from fire hazards. For starters, these men's low-rise jeans offer durability and protection from flames. These are crafted from 13 ounces of 100% cotton denim. Cotton denim is undoubtedly tough, but it's also designed to provide flame-resistance. Due to the fabric, the men's Ariat work jeans meet the requirements for two National Fire Protection Association standards: NFPA 70E and NFPA 2112. They are also rated CAT 2 and have an Arc Thermal Performance Value (ATPV) of 20. In addition, these men's flame-resistant jeans are made with a few external characteristics that offer an attractive look and feel. This pair is designed with a low-rise waist, they are Glacier washed, and they offer the look of light sanding and tacking. Plus, they have fashion back pockets with stitch detailing. The physical characteristics set these men’s denim jeans apart from the plain, dull shapeless look that many other work jeans have. Give yourself the durability and the protection from flames that you require while working with these unique and eye-appealing Ariat Work FR Men's 10018365 M4 Ridgeline Jeans. Order them here at Working Person’s Store today. 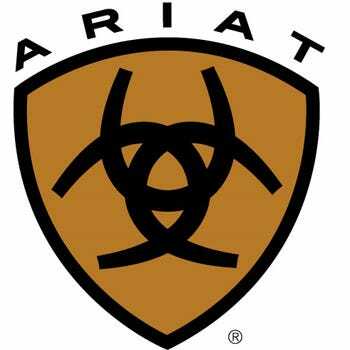 Ariat Work FR Jeans: Men's 10018365 M4 Ridgeline Jeans is being added to your cart.